Trump is expecting a new ride. It's not that his current fleet of limousines aren't particularly up to par, but as president-elect, the Department of Homeland Security says Trump will be due for an upgrade come Inauguration Day. The "Cadillac One," his future limousine, will debut on Jan. 20, replacing a string of limos that President Obama has had since 2009. And the presidential limousine, also dubbed "The Beast," is estimated to ring in at up to $1.5 million. 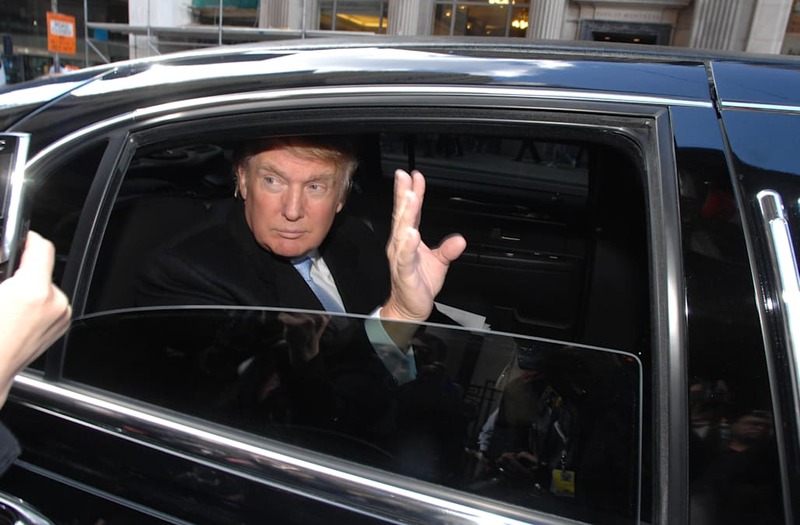 Though details pertaining to the presidential limo are classified for security purposes -- similar to Obama's former night-vision equipped ride -- word has circulated that Trump's limo will also feature James Bonds-like qualities. For one, the limo will come fully stocked with a blood bank in the trunk that matches Trump's blood type, it'll be equipped with a tear gas cannon and military-grade armor plated doors that will be so heavy they won't be able to open from the inside. Various reports also state that the doors and windows will be able to withstand bullets and the vehicle's exterior will be sealed so efficiently that it could even withstand biological warfare and chemical attacks. However, in comparison to past presidential vehicles and their predecessors, Trump's vehicle is not believed to feature any significant changes from Obama's former limo. The advanced design and engineering changes made to the former vehicle in 2009 appear to have lead to the 2017 model, reaching a plateau in development -- Obama's limo couldn't get any larger. And in terms of interior layout, Trump's version is expected to be an almost repeat of the former presidential ride.